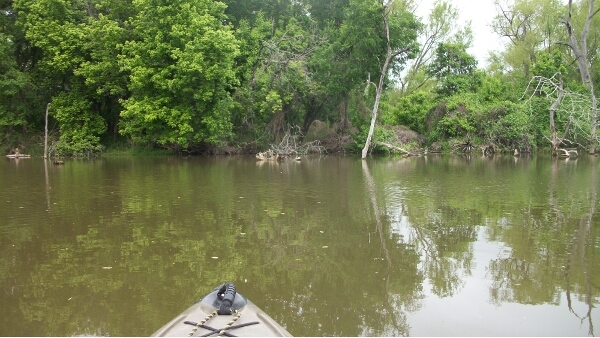 Water temps were 65-67 degrees. Water has cleared up a little since we’ve had a few days of 75+ degree weather. 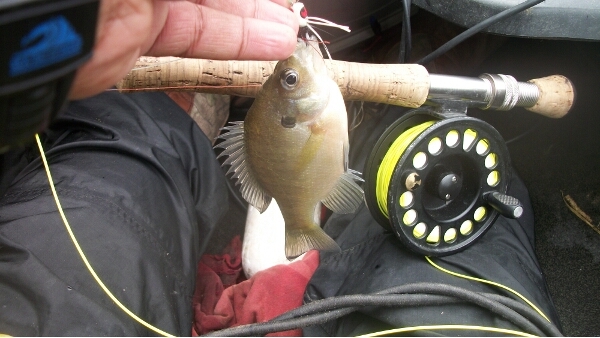 The bluegills are still sitting along the tree lines, so I pulled a few in with the popper on the fly rod. 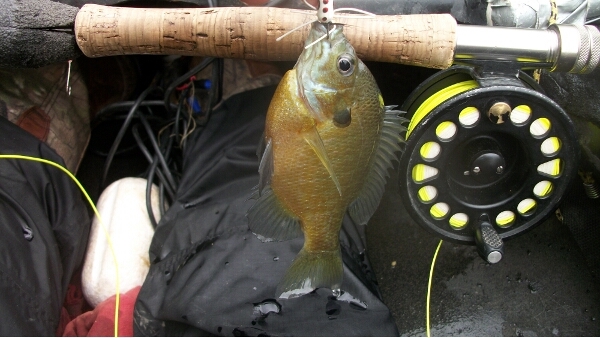 I figured out how to detect those light bites on the wolly bugger. I cut a small foam float in half, and used it as a strike indicator. 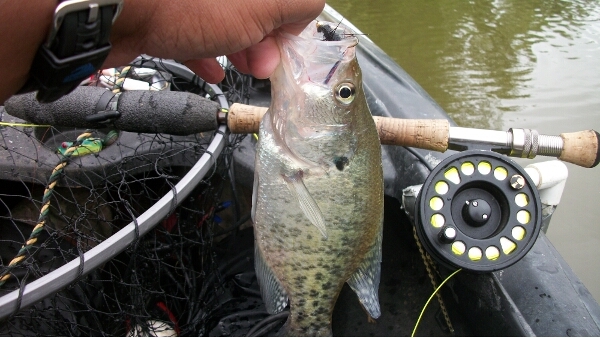 I was expecting to catch another catfish, but the first cast found a crappie sitting up close to the bank. 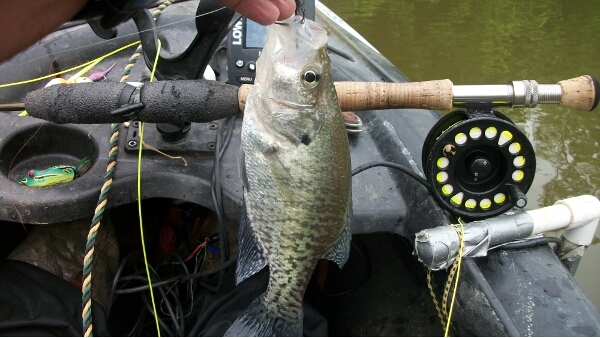 The float just barely moved, so I did a hard strip and lifted the rod. Just over ten inches, but I let it go. 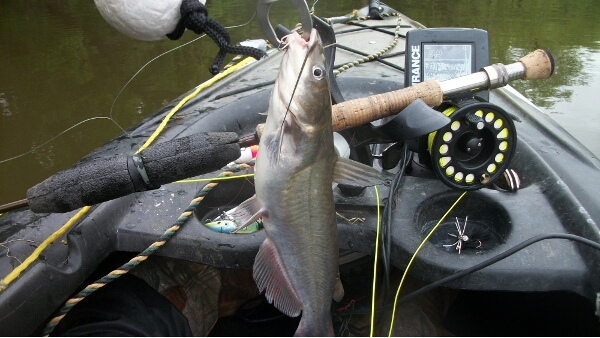 I thought I had a pretty big one on, but it turned out to be another small catfish. 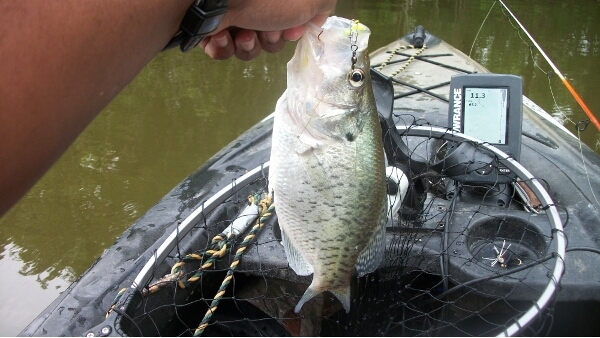 I think I’ll tie a larger bugger to see if I can catch some larger catfish. Since the water was clear, I thought I’d throw the road runner. 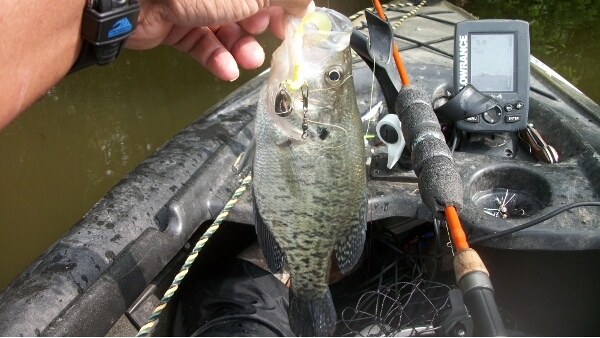 I pulled in two more crappie, which were also just above ten inches. They were also released. 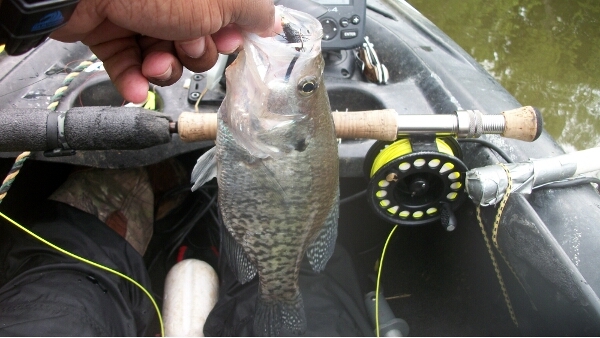 This entry was posted in Catfish, Crappie, Panfish by joebeasley. Bookmark the permalink.